What a truly amazing woman you must be to offer such a gift! We thank you and applaud you for opening your heart to such wonderful, deserving couples while you consider being a gestational carrier on their behalf. Although financial incentives are offered, you will be rewarded in so many other unexpected ways. Becoming a gestational carrier is a very serious decision to be made on your behalf, just as it is for the prospective parent’s. It is a very emotionally and financially depleting experience for the prospective parent(s) and we carefully screen our candidates to ensure that they understand the commitment involved in becoming a gestational carrier and the effect it will have on all parties involved with the process. We aim to treat your journey with tender loving care and hope that you will do the same for the family that you are helping. After successful completion of all testing, we will then discuss compensation for the service you are providing to your prospective parents. Average recommended compensation for first time gestational carriers is $35,000 for a single birth (of course this will vary from case to case, experienced carriers or carriers with surrogate friendly insurance may request a higher compensation). Consideration for carrying multiples will increase your compensation per fetus. For experienced gestational carriers, compensation in the amount of $40,000+ is common. Other expenses such as lost wages, local travel, maternity clothing, vitamins, childcare, etc. are also covered by the prospective parents. These are non-accountable expenses with previously agreed upon allowances and you will not need to submit a receipt for these items. Your expenses will be covered from the escrow account previously established by AEM and the prospective parents, which AEM will manage. In addition, certain medical expenses such as co-payments or prescriptions will be reimbursed to you after you submit receipts for these services. Legal counsel will draft a comprehensive and lengthy legal agreement for the prospective parents after agreement on your compensation is reached. You will have separate legal counsel provided to you and the prospective parents will be responsible for paying all of your legal fees. Please note that this contract is binding between you and the prospective parents and not the agency. Most of the communications with your attorney will be by telephone, email and fax. One of the primary purposes of this agreement is to confirm your understanding and that of your husband, if applicable, that you do not have any parental rights whatsoever regarding the child(ren) you will be carrying. Sleep is essential for your health. You need 7-8 hours of sleep per night! Do not forget to care for your general health and well being! 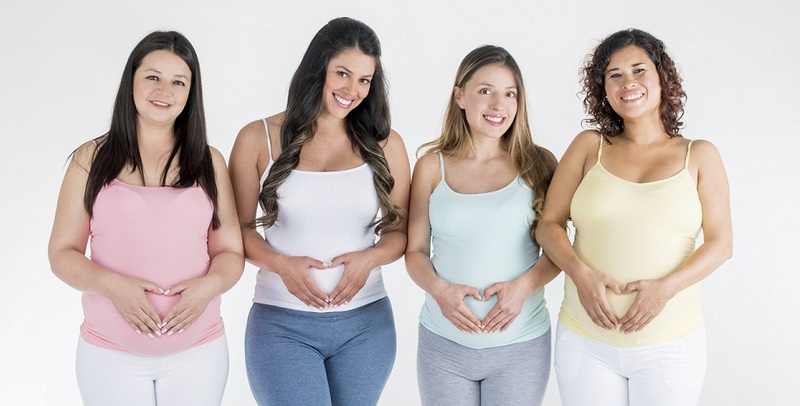 Your journey begins here by thoroughly reading through the information given, completing your online application and submitting 2-3 recent photos of yourself and your family as well as your OB & delivery records for ALL previous pregnancies. To avoid any delays in the process, you must fill everything out completely. Once we have received your application, we will arrange an interview with you either in person, Skype or by phone. AEM will attempt to match you with a couple or single intended parent currently in our database. Please be patient, we may or may not have someone right away, but we do receive multiple inquiries on a weekly basis. We will show your profile and photos to individuals and couples who contact An Eggceptional Match. Once the prospective parent(s) express an interest in you, we move on to the next step! This is an extremely personal process. Please understand that the prospective parents have thought very carefully about the personality, lifestyle, similarities in religious, ethical and moral beliefs of their gestational carrier, and compatibility is essential. If you are not the right match for one couple that leaves you open to be perfect for another. We cannot guarantee when or if you will be chosen. Sometimes a match happens right away but may take weeks, months or even a year from the time you apply. Once a match is confirmed, you will undergo a thorough background check completed by an independent agency. We are just as careful and selective with the prospective parents you will be helping. They are also required to undergo a comprehensive background investigation and psychological screening. Once you are chosen, we will schedule a phone conference between you and your prospective parent(s). A face-to-face meeting will take place next with your prospective parents if living in the Denver metro area. If living outside the Denver Metro area Skype meetings or a video conference may be utilized instead. Sign in to your account. Feel free to contact us if you have any questions with your account. Interested in becoming a donor or a surrogate? Searching for a donor or a surrogate? Sign up and gain access to our database.